PlayStation Showcase Live Stream from PlayStation Experience 2016! At 10 a.m. Pacific Time today, Sony Interactive Entertainment will live stream the PlayStation Showcase event featuring all-new announcements and sneak peeks at the future of PlayStation! Check out the PlayStation live stream in the player below! Following the Showcase, you can watch some panels from the event, including a panel dedicated to the new Hideo Kojima game, Death Stranding. 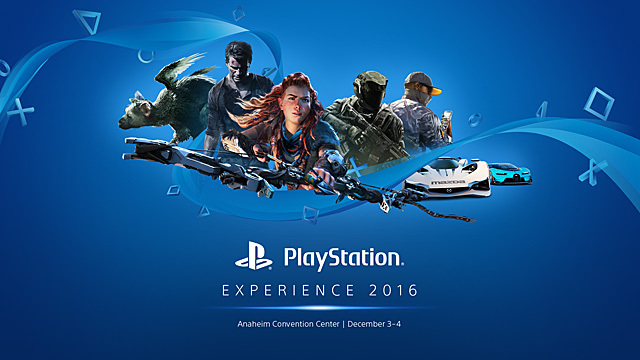 PlayStation Experience 2016 is taking place at the Anaheim Convention Center in Anaheim, CA, from December 3-4. You can join thousands of fans across the world and be there for exciting announcements and panels, plus play new and unreleased games on the show floor. Gamers can play more than 100 games on the show floor, rub elbows with some of the industry’s brightest developers, and experience PlayStation VR for yourself. For more information, visit PlayStation.com. Which games are you hoping to see on the PlayStation Showcase live stream? Let us know in the comments below!